Abstract: Many people even doubted whether a breakthrough has been made in S5 while it resembles S3 a bit in appearance. 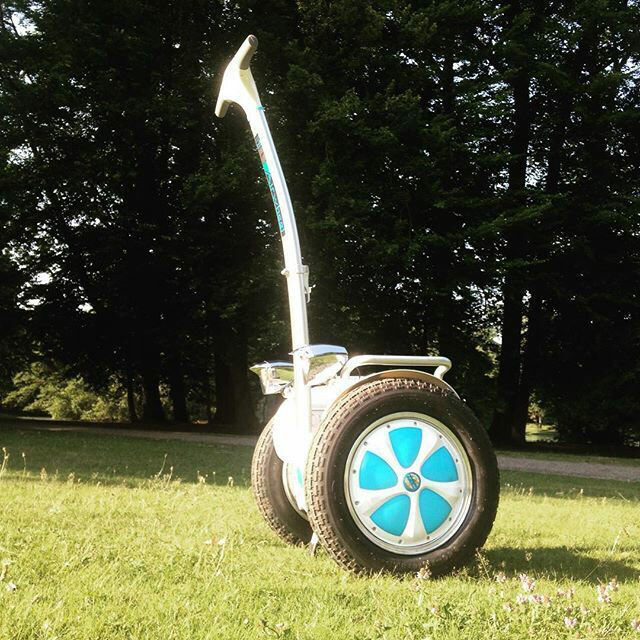 Now, let’s take a panoramic view of the functions of scooter S5 and witness together how attractive it could be. On June 18th, A3 and S5 were brought to the public at the new product release meeting. As a newly launched product of Series-S, intelligent scooter S5 became the focus of users’ attention. Many people even doubted whether a breakthrough has been made in S5 while it resembles S3 a bit in appearance. The function of SUV electric self-balancing scooter mainly lies in its capability of cross-country ride. Narrow places where SUV could never pass are truly inevitable on a trip. 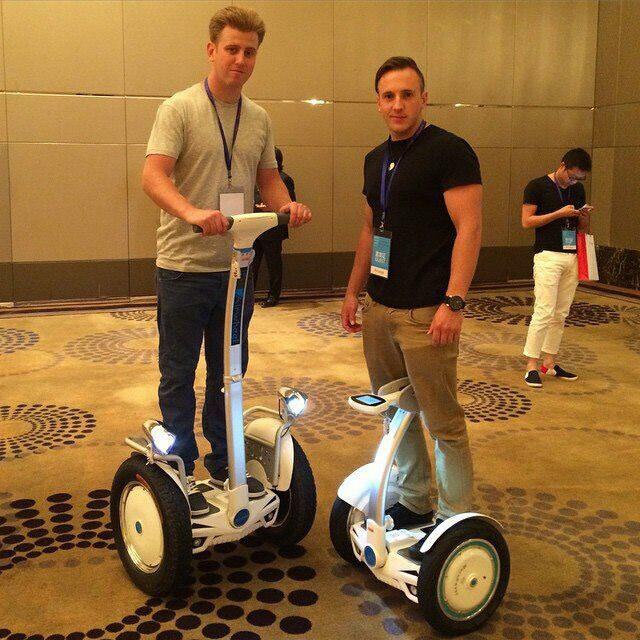 When needed, Airwheel SUV self balancing unicycle S5 could be necessarily helpful. While private cars are excluded from the large-scale theme parks, they usually offer rent service of regular bus and bicycle for tourists. Actually, SUV electric scooter S5, as a revolutionary vehicle, could bring not only comforts, but also pleasure for the users. Theme park should grasp this opportunity to further satisfy their customers and make their repeat presence possible in the near future. Newly launched products have advantages of their own. S5 electric self-balancing unicycle, as the newest product of Series-S, has been upgraded in an overall way based on its continuation of high quality of Series-S. Research and development of APP related to S5 is coming to an end. By that time, users could constantly monitor the data of electric scooter through APP to have a comprehensive understanding of their riding conditions. SUV self-balancing scooter S5 is tailored for enterprise users and outdoor enthusiasts. If you’re fond of doing cross-country travel games and if you’re in need of outdoor ride, S5 is the vehicle that you might badly desire.